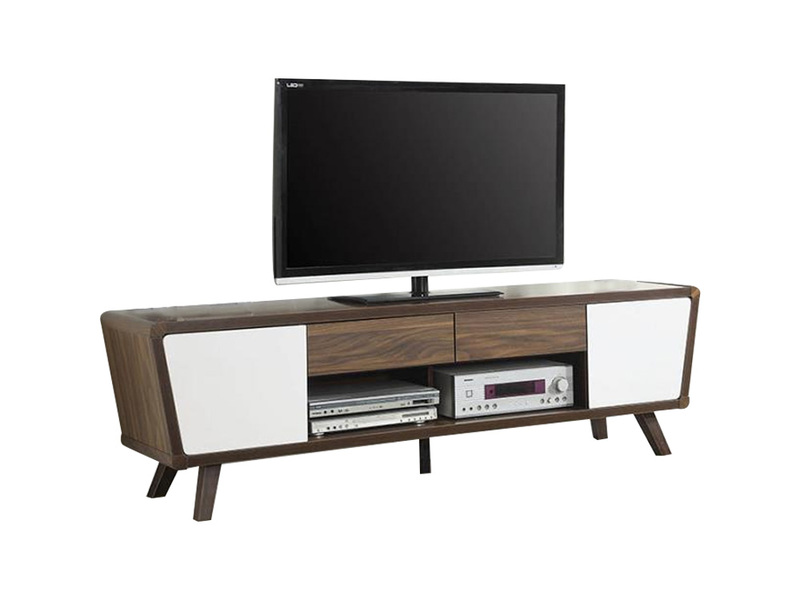 The Vedal II TV Stand is a mid century modern inspired TV stand with a fun feel with its dual tone white and natural wood finish. The drawer and door combination allows you to store items away in a neat manner and the open area is perfect for your electronic devices. The flared legs are a nice accent of the design. 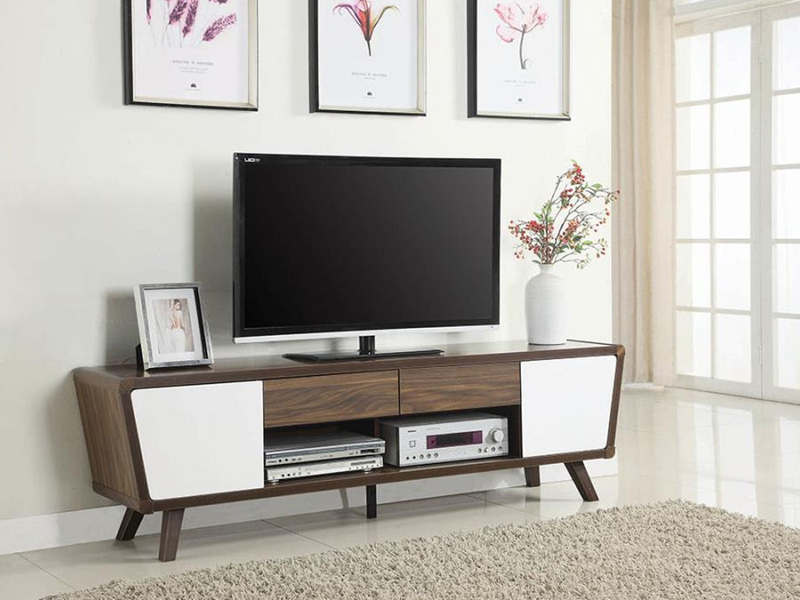 The Vedal II TV Stand will not only give tremendous style to your living room but it will also serve as a perfect functional piece. Inhabitr’s Living Room Collection has a wide range of sofas and tables to matched with this piece. Rent the Vedal II TV from Inhabitr and enjoy a new look for your living room!